Painting your home can provide a great update to your house with a simple aesthetic change. In addition to appearance, new paint can preserve your siding, brighten your interior, identify mold or rot, and sustain the life of your exterior significantly. Pacific Green Homes has a very experienced team of residential painters, and we will be happy to discuss your job today. Learn more about what painting your Los Angeles home can do for you below. Painting the exterior of your home can be one of the simplest ways to increase your home’s appraisal value by increasing curb appeal and the appearance of your property. Chipping, faded, or peeling paint can send a quick signal to potential homebuyers that the rest of the house has not been cared for, even if you have maintained everything else meticulously. First impressions are very important, and one of the major factors of your home’s first impression with appraisers is the exterior, including the condition of your paint. Simply put, a great coat of paint on the inside or outside of your home can completely change the aesthetics. Old, faded paint inside your house will dull an otherwise bright and welcoming room, and a new exterior paint can enhance your home by giving it a clean, cared-for look or a new feel entirely with a different paint color. Whether it is inside or out, a new paint job on your Los Angeles home will completely change the feeling you get when you get home each day. If your house has some rot, bugs, or mold, one of the best ways to discover and eliminate these issues is by stripping your paint and laying down a new coat. While your painter is removing old paint, they will be working up close with the entire shell of your house, and may expose possible issues that were covered by the existing paint. By identifying these possible issues, you may be able to curb the damage before it becomes worse, which will save you money and stress in the long run. By keeping up with your exterior paint requirements, you will also extend the life of your siding. Exterior paint has protective properties that will degrade over time, and once the paint has stopped protecting the siding, the elements will begin to work on the structure of your home. By keeping your exterior paint updated, you can extend the life of your siding, and in turn save yourself lots of money with siding replacements that could have been avoided. When considering all of the possible upgrades you could make to your house, updating your paint can be one of the most cost-effective options to choose. As you can see in the above points, new paint can extend the life of your home, increase your value and appearance, and identify any potential issues that may come down the road. If you are looking for a way to add some value to your house without breaking the bank, painting your interior, exterior, or both can be a great way to do this. 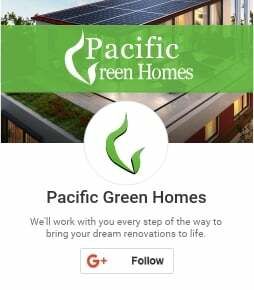 If you are considering painting your home, contact the professionals at Pacific Green Homes today to determine the next steps. We will be happy to discuss options, plan your vision, and understand your budget so that we can begin this upgrade as soon as possible. Painting your house can be one of the simplest and best ways to update your home, and we look forward to helping you update your house with a fresh new look.